This is a question we get asked a lot! 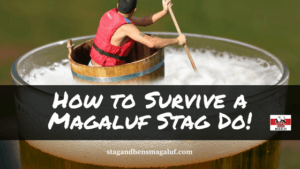 In this article we suggest some great Stag and Hen hotels in Magaluf to match your budget, also some things to consider when choosing the right one. So which Hotel should you book?? It’s the same as anywhere, really it comes down to budget. This is where things get complicated with large groups as it’s rare to find a large group that will have the same budget in mind for a weekend away! It’s difficult to please everyone when you have mixed ages and often they will want very different hotels! Work out the average age of the group, and book somewhere suitable for that age range. If it’s an even cut between young and old then perhaps keep the oldies happy. Young lads are easily pleased and will spend less time in the hotel anyway, and we wouldn’t want you to fall out with the father in law to be already! 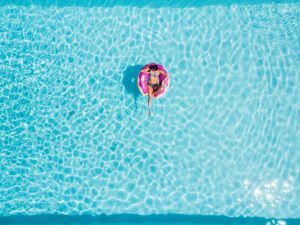 If you have a large group then you will want to book a hotel that is happy to cater for large groups, no good finding out it’s mainly a couples hotel, this will just lead to complaints and you want to make sure your group can sit together round the pool. You won’t know everyone in the group and no doubt some surprise characters will come out the closet after 2 days of drinking, but you will have a good idea of your lads behaviour. If you have a rowdy group of lads then make sure you book somewhere ‘stag’ friendly. Same as with you Hens, if your girls are not the quietest bunch then the last thing you need is to be getting thrown out the hotel on day one! Luckily most hotels are very accommodating in Magaluf and have got used to catering for big groups over the years. This works the other way round though, if you have an older more civilised group then there are a number of hotels we wouldn’t recommend, especially peak season. There’s nothing worse than booking a late flight back on the Sunday so you have that ‘extra day’ only to be told you have to be out the room for 10am, with a stinking hangover and all you will be doing is clock watching all day. Same goes for check in, for early flights many of your group will have had a very early start to get to the airport. The last thing the girls will want to hear is that they can’t freshen up in the hotel before you hit the bars! Wether you like it or not there are plenty of families that head to Magaluf throughout the season (nothing wrong with that!) but a rowdy group of lads isn’t always a good mix for a family swimming pool. The lads won’t want to be watching the Ps and Qs all day so it’s best to opt for adult only. The good thing about Magaluf Hotels is that you are never far from the beach or the bars! Just keep in mind though that if you book Palma Nova hotels this can be up to a 20minute walk home (longer when zig zagging!) or around a 6€ taxi ride. When possible we would say book Magaluf, that way you’re less likely to lose any of the gang on the way home! Many of the hotels will be out of budget in peak season but the best deals are also at the best times for Stag and Hens. April, May and September are the busiest times for Stag and Hens so you should be able to stay in a decent hotel without breaking the bank. If money is no object you now have a great choice of hotels, just make sure you don’t take the wrong group of lads into a plush environment. Although the resort is undergoing a major facelift at the moment there are still plenty of hotels that welcome large groups. One of the great things about Magaluf is how the resort is so close together so no matter which hotel you book you are never more than 10 minutes walk or 2 minutes intaxi from the main strip, the beach, the clubs, the restaurants, the waterparks, the shows etc. Many hotels are literally 2 minutes from the main Magaluf Strip. When it comes to choosing a hotel, you just need to think about the group you’re travelling with really. If you have a large group of lads and girls and top of the list is to drink day and night then we’d suggest not looking at the likes of the ME Mallorca hotel or The Antillas/Barbados. If however you are in a smaller group and afternoons at Nikki Beach are more your style then these are the hotels for you. For the bigger groups who are more about the drinking and partying then there are no shortage of hotels, places like The Sotavento, Vista Sol, The Samos, The Inn, TRH, Honolulu, BH hotel and The Martinique are all very much Stag and Hen friendly. The Sotavento is Adults only and has been voted no.1 on Tripadvisor for the last 4 years. If you want to be central Magaluf but happy to spend a bit more on your accommodation then look at The Sol Wavehouse or Sol House (formerly Sol Trinidad). If you have any questions about the resort or need inspiration for your Stag or hen Party, then don’t hesitate to contact us.